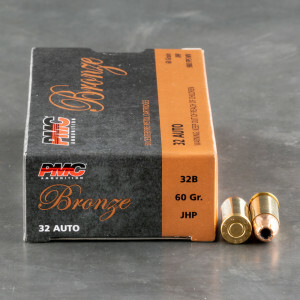 .32 hollow point ammunition is one of the most popular self-defense loads available to civilian gun owners, in any caliber. 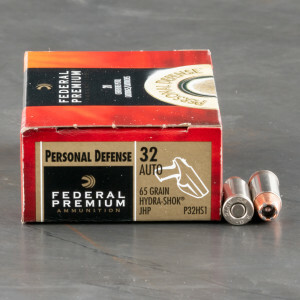 The 32 ACP is an already small round and but with hollow point ammunition the round is capable of opening and spreading into a much larger overall bullet. 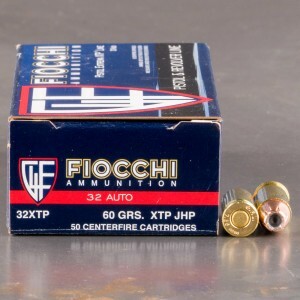 When hollow point ammunition strikes a soft target the round expands and becomes larger, creating a larger wound. 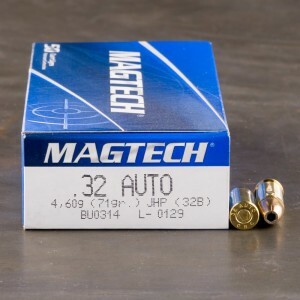 The 32 auto hollow point (HP or JHP) aids in making the small round more effective by increasing it’s size and the damage it does to a target. 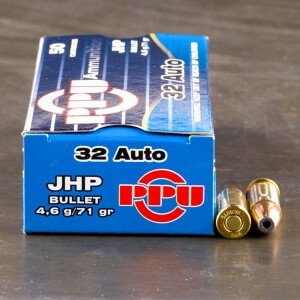 Hollow point ammunition is being made by a variety of manufacturers these days and has been made more and more capable with its rise in popularity. 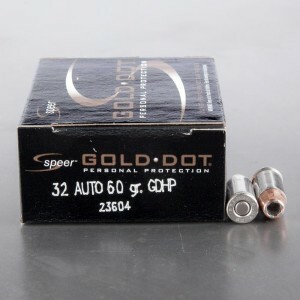 Look for 32 hollow points for sale below from a number of trusted domestic and international manufacturers. I have shot this one at. Range. Can say it was delivered as promised and the Seecamp that used it fired flawlessly, as advertised. BTW, the Hornady company CS was attentive,knowledgeable and courteous. Had no problem with my Kel Tec 32. Don't know why but it seems to eject and fire better than the more expensive ammo. This gun is very temperamental and jams & misfires often. 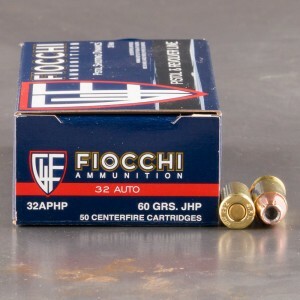 Not so with this ammo, worked much better and was just as accurate.